On Tuesday 25 September, SLA Europe is hosting an evening event on “Engaging with social media for fun and career success”. Our three guest speakers will relate their own experiences using social media both at work and at home. Neil leads a team of business and intellectual property reference specialists in the Business & IP Centre in the British Library. They provide information and advice to inventors, business start-ups and growth companies. Neil started his blog In through the outfield in 2007, and has published over 500 posts. The blog currently gets around 400 visits a day. Prior to joining the British Library Neil spent 16 years working in the pensions investment world in the City of London managing business information services. Laura Woods graduated from City University London with an MSc in Library and Information Studies in January 2010, and is currently working as Research Analyst at Addleshaw Goddard LLP. Laura blogs about her professional development activities at Organising Chaos, and you can find her on Twitter as @WoodsieGirl. She has a longstanding interest in the use of social media for networking and learning. Meghan Jones is the Assistant Systems Librarian at the University of Brighton. Previously a librarian (mostly) in the corporate sector in London, she feels like she’s used Social Media in just about every aspect of her life and is a wearer of many Twitter hats. For most of her library related tweets, she can be found on Twitter as @barbaragordon. 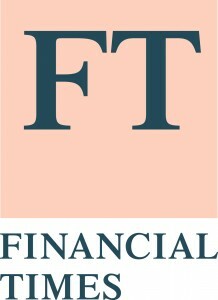 The event is kindly sponsored by the Financial Times, Perfect Information and RM Group, and will take place at Morgan Stanley’s Canary Wharf office, details of which are provided below. It will be followed by a networking opportunity in Morgan Stanley’s 12th floor restaurant. The event is free for SLA members and £15 for non SLA members, payable on the door in cash or by cheque. Adjacent to Heron Quays DLR station, click here for map. Please register in advance for this event by clicking here.